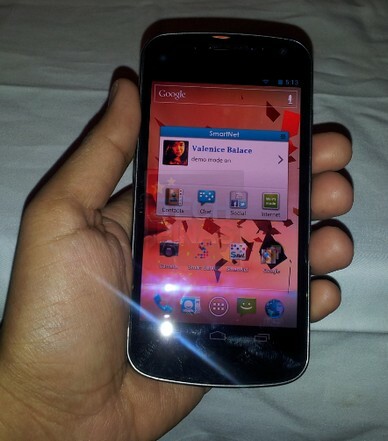 Smart Samsung Galaxy Nexus Android 4.0 Ice Cream Sandwich Phone Live Demo! Free with Unlimited Data Plan 2000! Last week, at a Smart event in Makati Shangrila, I had the chance to play with Samsung Galaxy Nexus. Being the current Google phone, Samsung Galaxy Nexus is the first smartphone to ship with the latest version of Google's mobile OS, Android 4.0 Ice Cream Sandwich, pre-installed. As I've earlier explained in TP, ICS serves as Google's answer to critics saying that the Android platform is fragmented. As such, it comes not only with a lot of cosmetic improvements but more importantly, it features system-level enhancements - underneath what's visible - that aim to create a more 'unified' platform. Cool, eh? But here's the thing: Although it runs the latest version of Android and flaunts a quite massive curved screen, SGNexus lacks a few top-notch features that you'll find in other flagship Samsung handsets like Samsung Galaxy S2 or Samsung Galaxy Note. 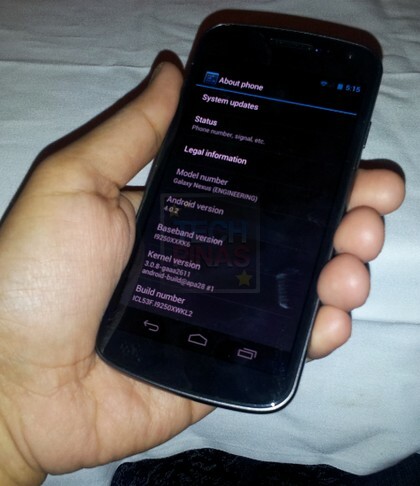 In fact, SGNexus only has a 5 MegaPixel still camera and its CPU doesn't have that geek-favorite Exynos chipset. Then again, for those who will choose SGNexus, these are but small trade-offs for being one of the first to experience ICS. So where to get SGNexus in the Philippines? Right now, the handset is exclusively available via Smart Postpaid Plans. You can get it for free with Smart Unlimited Data Plan 2000.